Hi Friends! How is your week going? Have you started to make plans for Easter? Miss E and I have started decorating Easter eggs and getting into the festivities. 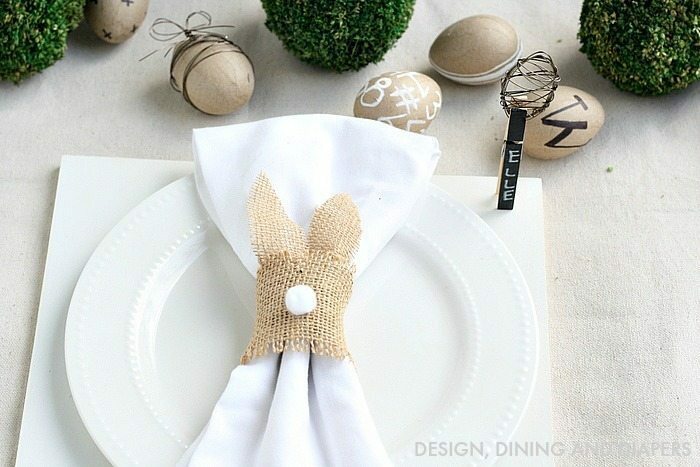 We made Modern Easter Eggs last week and those inspired me to create a whole new Easter Place Setting! 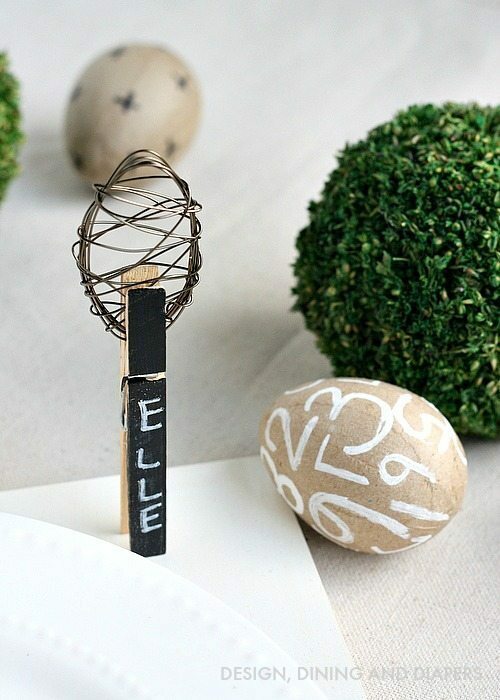 Today, you can find me at Tatertots and Jello sharing the tutorial for my Wire Egg and Chalkboard Place Cards and today I’m going to show you more of my place setting and how to make these Bunny Napkin Rings. 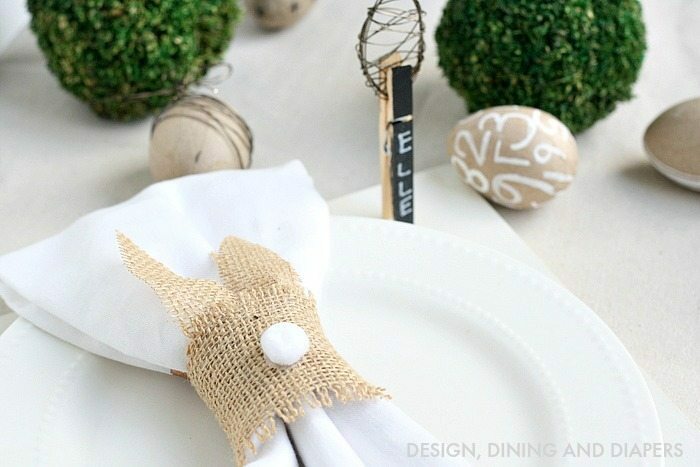 These festive Bunny Napkin Rings are so easy and you can whip them up in no time. And to top off the look, I made these easy little place cards for each setting. 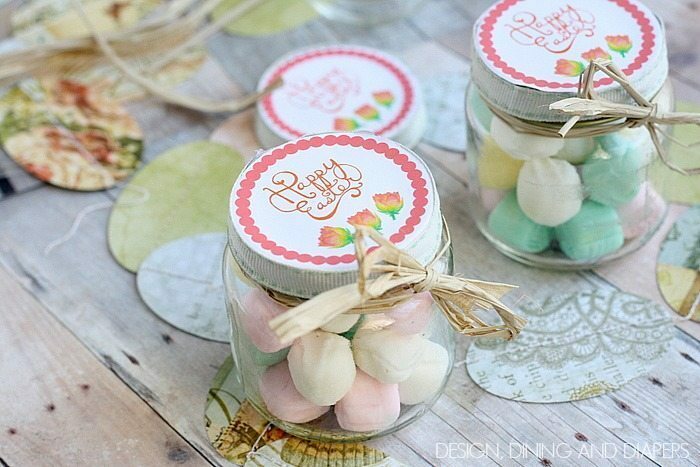 I thought they were a fun, modern take on Easter decor. 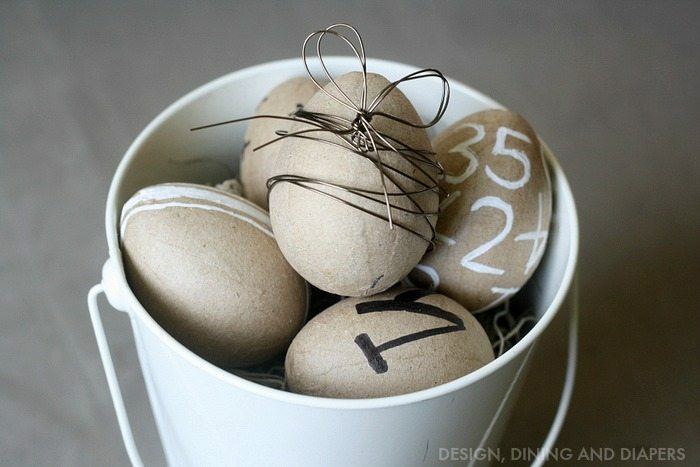 You can view my easy tutorial on how to make the Wire Eggs here. Now let’s get back to the bunnies. Here is how you can make them. 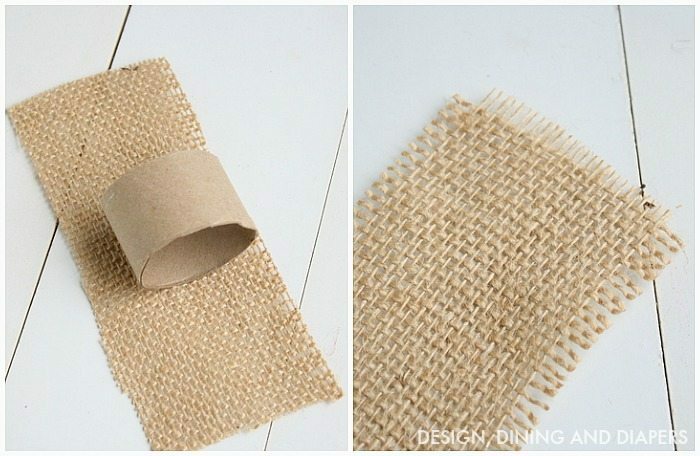 Start by cutting a pice of 3″ by 7″ burlap and a 1 1/2″ piece of a TP roll. 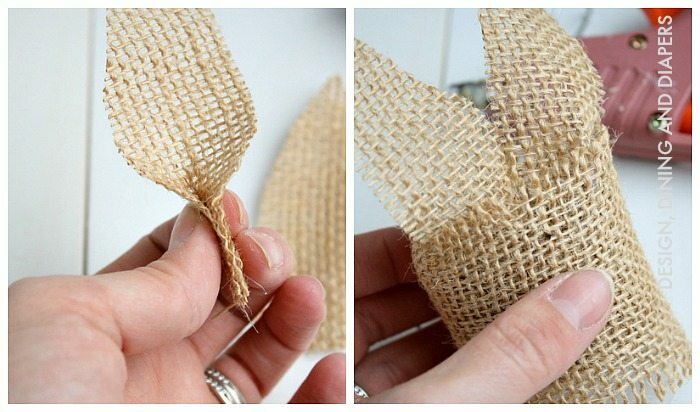 Then, to create a straight edge gently pull each thread of burlap until you create an even edge. Then trim to create a straight line. 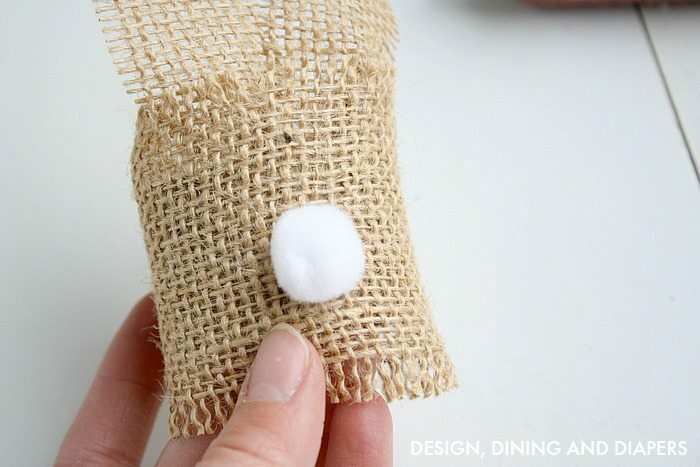 Wrap around the TP Roll and secure with a dab of hot glue. For the ears, but 4″ ovals and then pinch them together at the bottom with a dab of hot glue. Secure to the ring. I have to say ADORABLE too! Those are flat out adorable Taryn!!!!!! How fun! Hope it’s become Spring in Seattle. 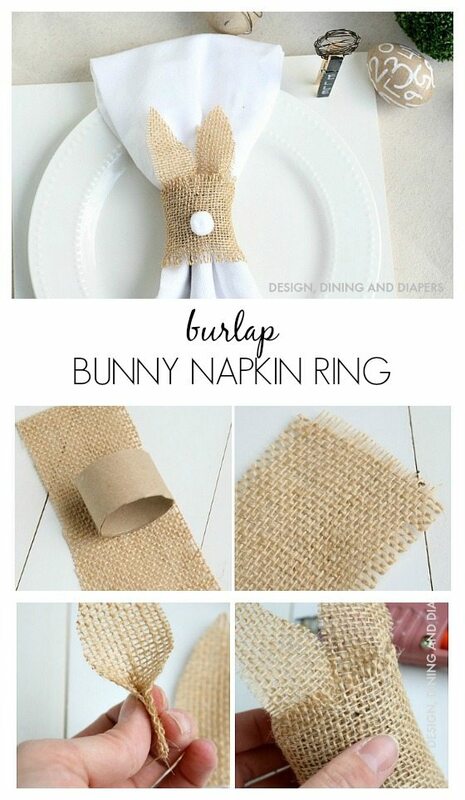 Your napkin rings are so cute, smart girl thinking up such a nice easy project. Looks like you still love to use burlap, know I sure do. 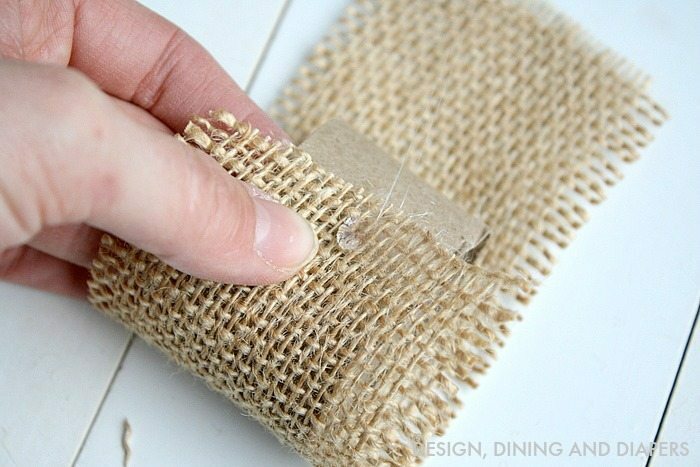 I try to always have at least couple yards of plain burlap handy at home for quick projects. It’s kinda funny cause one of ladies that works in fabric dept. at Hobby Lobby in G.J. told me burlap was phasing out. I asked her where she got her info. Told her about all the fantastic projects still being made on blog land and all the fun new burlap prints at Jo-Ann’s. She seemed to think it was in Grand Junction. I told her maybe their buyer out to get on blog land and go to Jo-Ann’s to see all the new and wonderful burlap prints. Maybe it’s just Hobby Lobby in G.J. that’s phasing out burlap as the store doesn’t have as much of selection as they used to. The price is fair but not much there. Happy Crafting with your adorable little ones. Happy Spring. 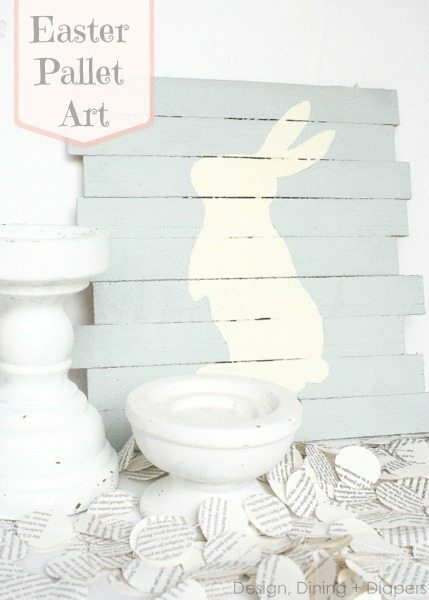 Love the bunnies – such a cute and simple idea!! These are so simple and cute!